TPU reports Xilence is now shipping the Black Hornet, a new mid-tower case that will retail for 89.90EUR. 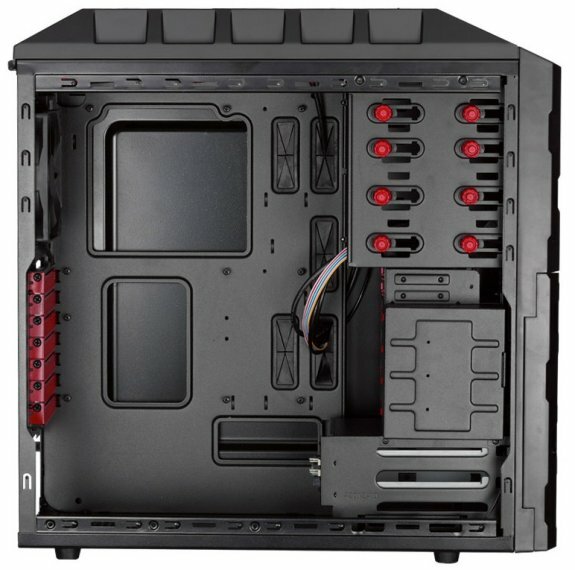 It has an all-black design with some red accents and offers most of the features you'd expect from a modern mid-tower for gamers. Described as the 'little brother' of the Interceptor model, the Black Hornet measures 200 x 493 x 490 mm, is painted black both inside and out, and features a steel structure, a front I/O panel with USB 3.0 (x 2), eSATA (x 1) and HD Audio ports, a built-in SATA drive dock (it supports both 2.5-inch and 3.5-inch drives), and seven PCI slots. 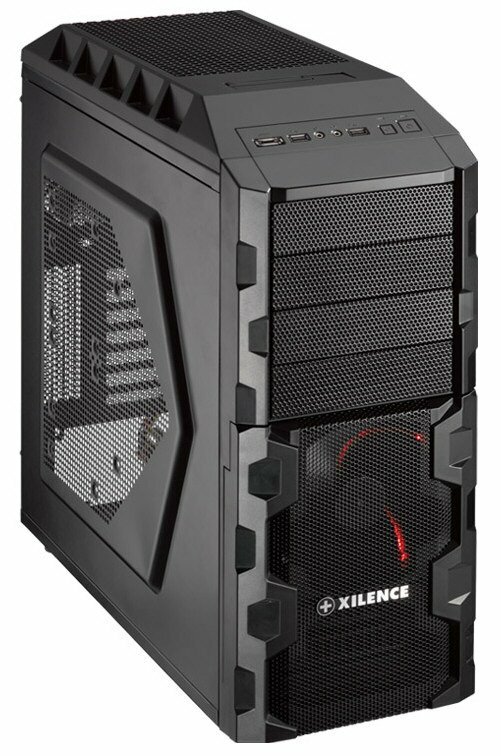 Xilence's case also has four exposed 5.25-inch bays, two 2.5-inch and four 3.5-inch internal drive bays, two hot-swap drive trays accessible through the front, and two built-in fans - one 120 mm spinner at the back and one 140 mm model with red LEDs in front.